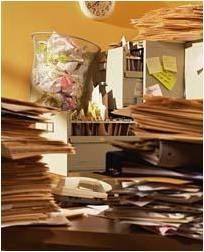 Document management is crucial for any organization. It helps to reserve knowledge and experience of the company and facilitates the development and growth of the company. 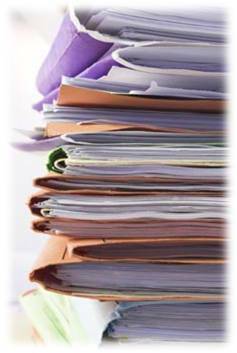 Files or documents should be carefully handled and stored, particularly true for the professional sectors including legal, health care and financial industry. HK-RFID launched a High Frequency (HF) document management system using NXP i-code ICs to offer an efficient way to trace and locate circulated documents in an office setting. The main feature of the system is its superb anti-collision performance in overlapping and highly crowded tag conditions. 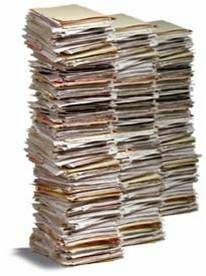 The documents could be found even if it is buried in a pile of documents. Besides, it offers 20% higher read range compared to previous IC model. With longer reading distance, the document can be more effectively located. What’s more, the label can retain data for up to 50 years! Sensitive and important documents such as financial records, health records and legal documents are all highly confidential and can be circulated internally only. As this system can record the check in and checkout time of documents, you can find out who was the last person to have possession of the documents, the actual location of document as well as the date and time when the document is taken away. Another benefit of the system is cost and time saving. The system not only can minimize the level of redundancy through allocating, redoing or rewriting of a document, but also the potential risk of document misplace or lost during handling. It can also speed up retrieval of documents and identification of locations. RFID document management is the best system of choice. Extra implementation of hardware such as handheld reader, auto check-in and out stations and many others can be conducted easily for system extension and upgrade. Additional tags can also be purchased to extend to site offices and other branches.